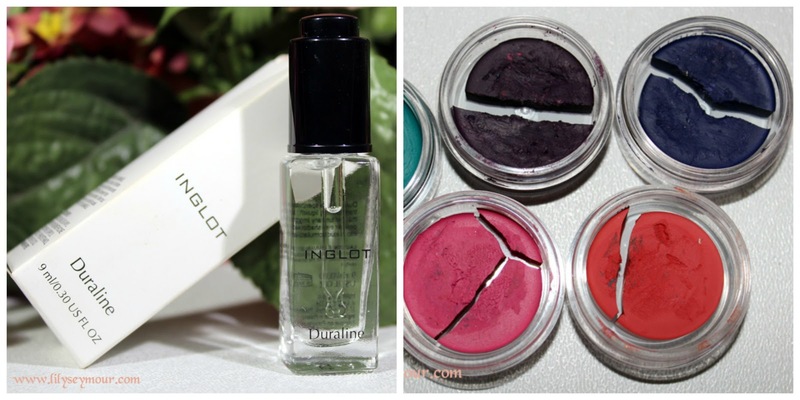 I finally ordered some Duraline from Inglot to review my beloved Inglot gel eyeliners which i've had for about 3 or 4yrs now. I bought these when Inglot first launched so whenever that was, that's how long i've had them. I've seen other people have success in reviving their eyeliner so I thought I would give it a try. It's also recommended that using regular eye drops would revive them as well, but there's so many eye products on the market, I thought I would just order the Duraline from Inglot and call it a day! Below are the current state of my Inglot eyeliners, all but one has totally dried out. The one that is not cracked isn't creamy so I will still add a little Duraline to make it smoother. I've never did this before nor have I ever pressed any eyeshadows or pigments. There's not very many tutorials on reviving cream eyeliners so I thought I would make a video as well showing the steps.... though not sure how the video will come out either.